When people need the highest quality representation for a range of issues, including criminal charges, they turn to Agricola Law. Our law office is committed to helping clients throughout the Auburn and Opelika metropolitan area, to Columbus, GA and points in between, to pursue the best possible outcome for their cases. Our founder and attorney, Barbi Agricola, has earned numerous awards for her legal prowess and ethical standards, including the prestigious honors of AV Preeminent* from Martindale-Hubbell and Super Lawyers Mid-South Rising Star. Among our key areas of practice is criminal law and family law. We offer aggressive defense for a spectrum of charges including DUI, drug violations, and more serious offenses such as murder. We fight hard to protect our clients’ sensitive family law concerns including divorce, child custody, visitation, alimony, adoption, paternity, domestic violence and distribution of assets. Our law office also advocates for victims of personal injuries and families who have experienced the wrongful death of a loved one. Whether an accident happened on the road, on the job or anywhere else, we work relentlessly to recover the maximum possible compensation for all pain, suffering and financial costs. We are not intimidated by large insurance companies and are experienced in combatting them in court. No matter what brings people to our law office, we offer a free initial consultation. In addition to criminal and personal injury cases, we handle legal matters related to estate planning, education law, civil rights and employment law, appellate law and expungements. 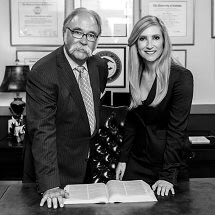 Agricola Law represents clients in the Auburn and Opelika metropolitan areas as well as greater Lee and Russell counties. We also handle cases throughout the greater Columbus, Georgia metropolitan area. We accept credit cards as payment.